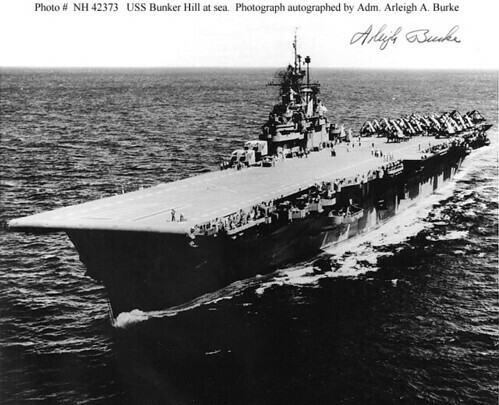 USS BUNKER HILL (CV-17) - The ship was stationed off of Okinawa on May 11, 1945. At 10:10 A.M. a Japanese Zero came in and dropped a 550 pound bomb and at the same time the plane plunged into the flight deck destroying 34 parked aircraft. Seconds later another Kamikazi dropped a bomb on the aft flight deck. 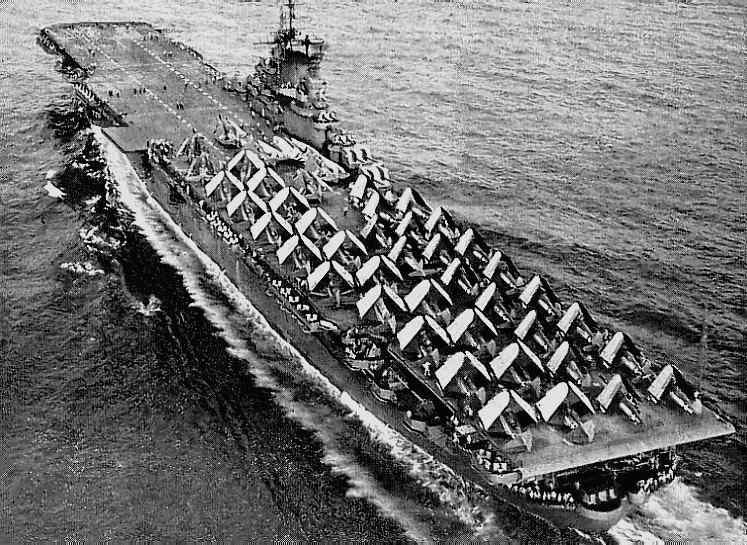 The blast blew sailors overboard and flames covered the flight deck. 375 sailors perished along with 264 wounded and 43 missing. The carrier was saved but was known as the "most severely damaged ship" ever to enter the Puget Sound Navy Yard.